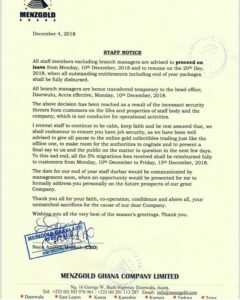 Gold trading firm, Menzgold Ghana Limited, has ordered its staff across the country to proceed on compulsory leave due to what it described as incessant threats from aggrieved customers of the firm. The latest development takes effect from Monday, December 10, 2018 the statement signed by the Chief Executive Officer of the firm, Nana Appiah Mensah stated. 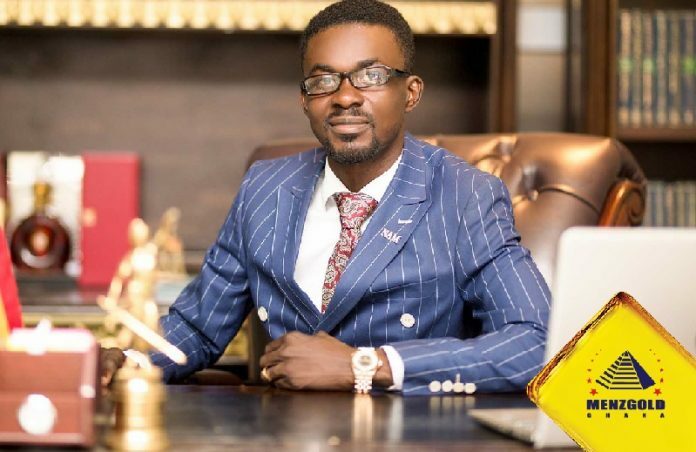 According to Nana Appiah Mensah in the statement hinted that the decision was taken “as a result of the incessant security threats” from customers on both the properties of the company and the lives of the staff members. The statement added that it has been advised by the authorities to halt its online trading [just as the offline one] to enable the authorities to assess the system and present a final say to the public and the company. “To this end all the 5% migration fees received shall be reimbursed fully to customers from Monday, December 10 to Friday, December 15, 2018,” the statement added.